Attend an afternoon or evening of entertainment beginning Friday, January 25, and running weekends through Sunday, February 10. Show times are Friday and Saturday at 8:00 pm and Sunday at 2:00 pm. 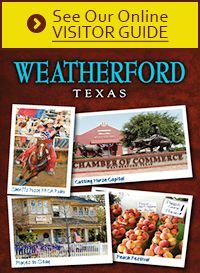 Theatre Off The Square, the only live theatre in Parker County, is located at 114 North Denton Street, Weatherford.